When it comes to the practice of boxing and kick-boxing forms, it is all about different movements of your body. You need to bring flexibility when practicing these sports. No doubt, under the supervision of your mentor, you have fewer chances to get injured while performing. Nevertheless, your coach will suggest to keep on wearing the belly pads as well as the other bodyguard items to stay safe from getting injured. Actually, if you get any punch on your belly, it will be utmost painful to you. Moreover, you will get difficulties in sitting, walking and resting on beds. This is why one is suggested to be protected by using the belly pads. During practice, your little ignorance can cause you injury. But, if you have protected yourself with boxing belly pad, you can stay safe. Boxing movements are really dangerous can deliver a big issue to your body, so one should not ignore to wear it. In the absence of you belly pad, you have to practice carefully preventing injury. After wearing the belly pads, you will feel like a real battlefield. It allows the athlete to get training with utmost physical level eliminating all fears of harming yourself or your competitor. This will help you to practice without getting any pressure to be injured. The belly pads allow you to play with enough freedom of movements. You need not limit your punches as you are safe using the high-quality belly pads. If you are an athlete, you know the value of belly pads for protecting yourself from getting injured. Due to the lack of a belly pad, you may not be able to practice with a free mind. 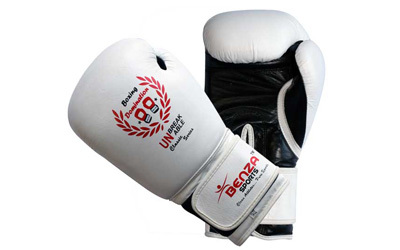 So, feel free to explore our shopping section at Benza Sports and buy belly boxing pad at the reasonable price.